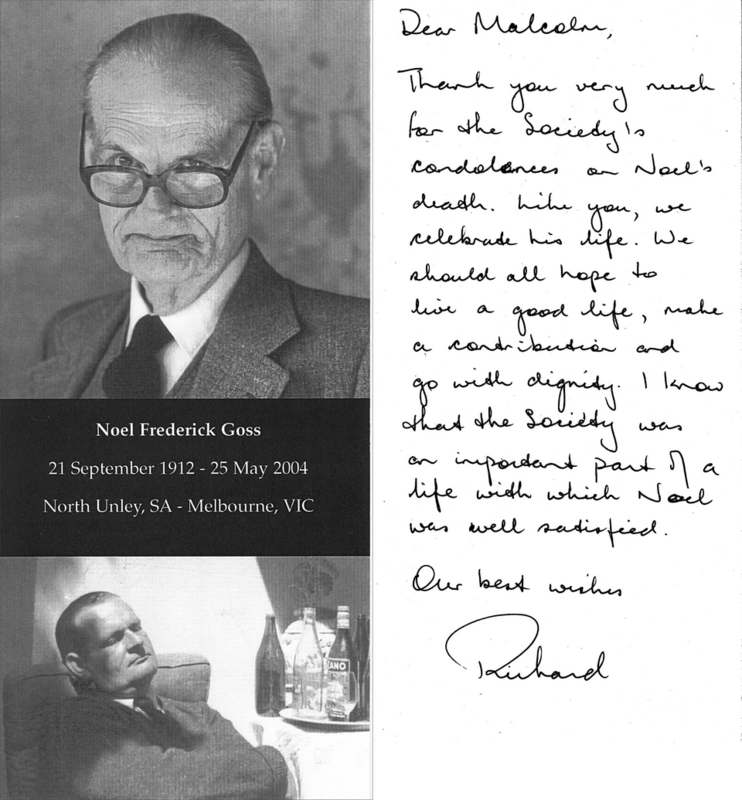 Obituary of Noel Goss who died on 25 May 2004. 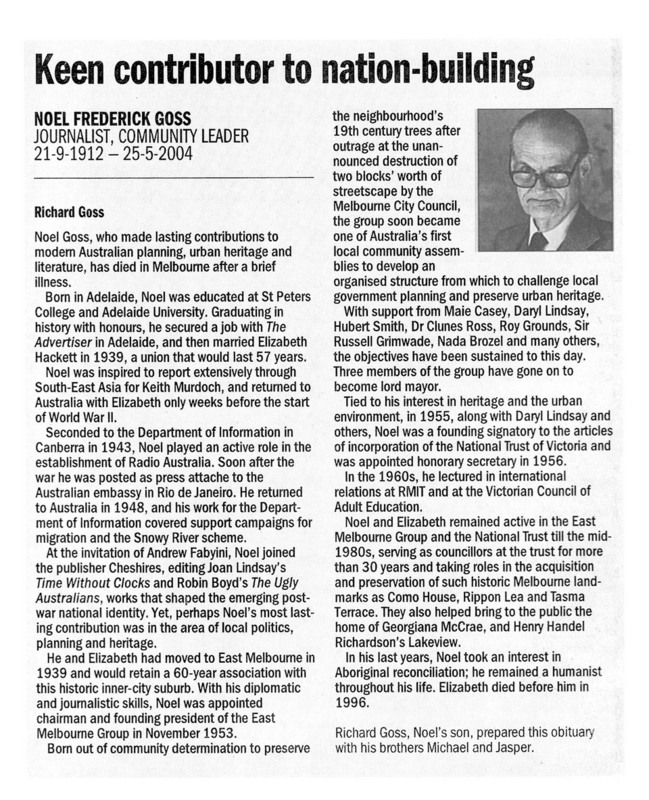 He lived at 157 Gipps Street. He was founding president of the East Melbourne Group Also a card from Richard Goss, Noel's son with photos of Noel Goss.